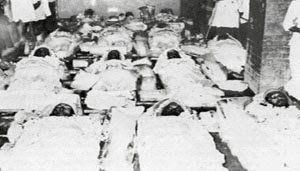 On Vaisakhi 1978, 13 Sikhs were martyred by the heretical Narkdhari (Nirankari) cult. A Jatha of Singhs had peacefully marched to protest the cult’s repeated insult of Sikh Gurus and faith. 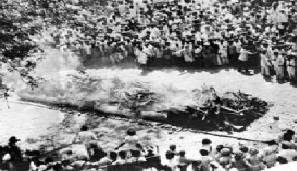 The Jatha were fired upon by the Narkdhari Militia who were aided by the Indian Police. The Shaheeds gave their lives but rekindled the Sikh spirit. On September 26, 1978, another Jatha of peaceful Sikh demonstrators were fired upon by the Narakdhari cult, this time in the city of Kanpur.